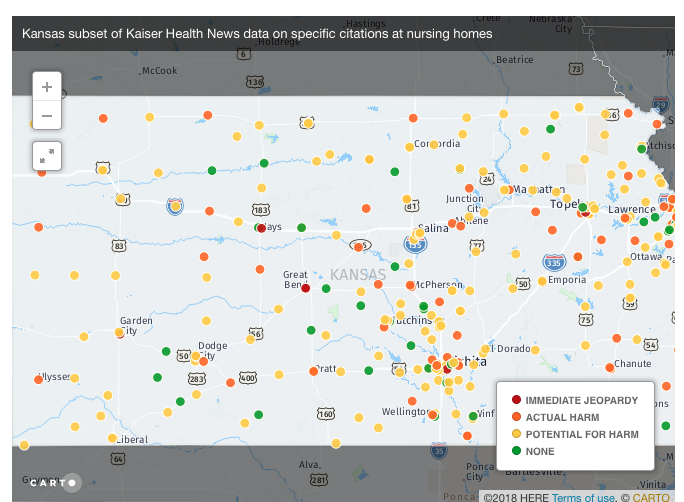 A Kaiser Health News compilation of those warnings to nursing home operators shows eight Kansas nursing homes earned the most serious level of citations. Those health issues matter, says sepsis expert Steven Simpson at the University of Kansas Medical Center, because of where they can lead. “Sepsis is one of the most common causes of death if you’re in a nursing home,” he said. Simpson’s school works with nursing homes across Kansas to teach them about early signs of sepsis, warnings that can save a patient’s life. Sepsis occurs when your body is fighting off an infection but the chemicals flowing into your bloodstream inadvertently trigger other life-threatening complications, including potential organ failure. Recognizing the signs of sepsis earlier and more often would cut down on annual deaths from it. Even better would be preventing sepsis from taking hold at all — by keeping elderly residents from developing bed sores or other complications that open the door to infection. The citations relate to infection prevention and control, catheters, feeding tubes and bedsores. Citations are ranked on a scale. Immediate jeopardy to resident health or safety is most serious. Want more info about a given nursing home? 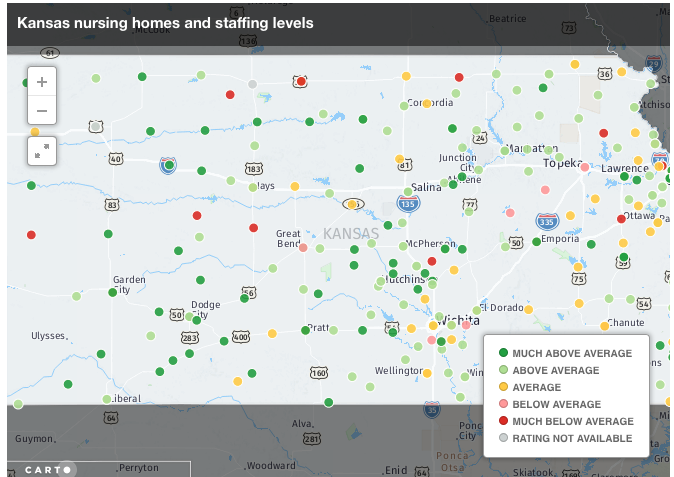 You can view additional health indicators and read inspection reports in detail on the Centers for Medicare and Medicaid nursing home website. Read Kaiser Health News’ in-depth report on sepsis at nursing homes. Data methodology is available here. Risk for developing infections leading to sepsis can relate directly to staffing levels at nursing homes. Residents who can’t move easily without help, for example, require frequent attention to stave off bedsores. Mayo Clinic’s tips for preventing bedsores include shifting one’s weight every 15 minutes if seated in a wheelchair. That lack of mobility is just one reason nursing home residents are especially vulnerable to sepsis, Simpson said. Additionally, immune systems weaken with age. Some elderly also may not develop fevers or elevated heart rates that serve as clear warning signs. They may also have trouble describing their discomfort. “Probably the most important things to look out for in your family member who is in a nursing home are mental status changes,” Simpson said. For instance, if someone who is normally clear-headed suddenly becomes confused and can’t remember basic facts, sepsis might be the cause. Kaiser Health News also published federal data on staffing levels at nursing homes around the country. The Kansas News Service has reproduced the Kansas data on the map below. Read Kaiser’s in-depth report on staff levels at nursing homes. Data glossary and methodology are available here.